(1) After booking a tour, the client (hereafter referred to as the customer) will receive a confirmation e-mail. With this booking, the customer signals his recognition of the general Terms and Conditions. 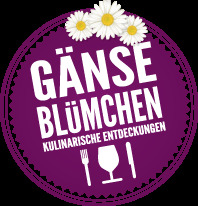 The booking is binding as soon as the ordered tour is confirmed by Gänseblümchen – Kulinarische Entdeckungen (Einzelunternehmen Karin Theuer, hereafter referred to as Gänseblümchen) via e-mail or fax. By this process, both parties, the customer and Gänseblümchen, recognise the assignment as a binding contract. (2) Payment for the walking tour takes place in advance online with credit card, or bank transfer or direct-debiting system. (4) Concerning a private or company tour: Payment shall be made at least seven weekdays prior to the activity agreed upon or according to a special agreement made with Gänseblümchen (full payment). For tours, that will be taking place less than seven bank working days after reservation, a payment target will be agreed when the booking is made. (1) In the event of returned unpaid transactions, a fee of 5€ will be charged per unpaid or declined transaction. If your debit is cancelled, any outstanding balance must be immediately paid in full. (2) Gänseblümchen reserves the right to cancel the direct debit arrangement if one or more debits are returned unpaid by your Financial Institution. All customer records and account details will be kept private and confidential, to be disclosed only if requested by the Customer or Financial Institution, in connection with a claim made to an alleged incorrect or wrongful debit. (1) The scope of contractual services is to be found in Gänseblümchen’s service description. Any side agreements must have written confirmation from Gänseblümchen. (2) The discontinuation of individual service elements does not qualify for retention of the contractual sum or for partial withdrawal, as long as it involves reasons for which Gänseblümchen is not responsible. If Gänseblümchen is responsible for the reasons for the discontinuation of certain service elements, the right ensues to have these service elements replaced with others of an equal value. Gänseblümchen is obliged to inform the customers of the above. Under certain circumstances, Gänseblümchen will offer the customer a re-booking or a withdrawal free of charge. (3) Gänseblümchen have the right to make alterations to and diversions from the decided routes and length of the tour based on weather conditions. (2) Gänseblümchen is not responsible for the services of third-parties (e.g., gastronomic services, limousine, train, bus or taxi-drivers, theatre, museum or exhibition visits, restaurant visits etc.) Where city tours and transfers are offered by Gänseblümchen, the transportation will not be provided by Gänseblümchen itself, but rather by businesses which are holders of relevant permits according to the law of transporting persons (Personenbeförderunggesetz, PBefG). (3) It must be pointed out with caution that the participation upon a tour is carried out at own risk and that Gänseblümchen bears no responsibility for any possible damage to persons or belongings. The customer or the members of a group of the customer are responsible for every instance of damage which is caused by or to the belongings brought along with them. (1) The customer can withdraw any time before the beginning of the reserved trip. The receipt of the withdrawal declaration at Gänseblümchen is definitive. • from the 5th day before the event's beginning or by non-appearance: 100% of the contractual sum total. The nullity of individual conditions of the General Terms and Conditions or of the contract does not result in the nullity of the entire contract. 8. In case of doubt, the German version is valid.